Not every business needs a massively expensive office machine to get fulfill their everyday needs. Despite what some office copier leasing companies may say, a small device can often satisfy the needs of your individual business. In times like this the Xerox Versalink Color Multifunction Printer is a great solution to your office print and copier needs. The Versalink Color Multifunction Printer offers unparalleled multifunction productivity with incredible color quality. You won’t have to settle for dull prints with this machine. It’s designed small, but built powerfully to perform big at the heart of your business. Next generation features allow your device to be ready for anything the future may hold. The Versalink Color Multifunction Printer is a future proof machine that gives you the ability to do whatever job you may need. It’s design gives you the flexibility to handle a variety of jobs seamlessly. 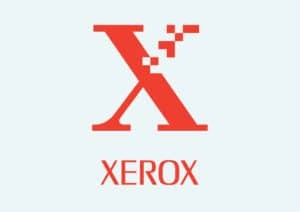 You will get standard security that is the benchmark of all Xerox products. It’s easy to work with right from the very beginning. Easy installation with IT-free installation wizards and step by step configuration options make it easy to set your machine up the way you want it. All of the productivity of the Versalink Color Multifunction Printer comes for only $20 per month plus cost per print charges if you are on a cost per print plan. Give us a call at Copier Houston to learn more about the Xerox Versalink Color Multifunction Printer.